On Tuesday Finnish air traffic control officials warned civil aviation about large-scale GPS signal disruptions in northern Finland. It was the first such notice issued by Finland's state-run Air Navigation Services in an official Notice to Airmen (NOTAM), in which it advised that the disturbances began on Tuesday and continued until midnight on Wednesday. The warning was visible on the website of Eurocontrol, the European Organisation for the Safety of Air Navigation. According to ANS operations director Heikki Isomaa, the warning was prompted by information obtained from sources such as Finland's Defence Forces. "We have also received information from the Defence Forces. So we released the information as soon as we got it," Isomaa said in response to a question about whether or not the Defence Forces provided information about the disruptions. "We've been informed by different sources that GPS signals in northern or northeast Finland could possibly be unreliable. We wanted to get this intelligence to airlines and other aviators for security reasons," Isomaa added. He said that the warning had been issued for a large area as a safety precaution. "For safety reasons, we issued it for an expansive enough area so that pilots could be prepared not to rely solely on a GPS," he noted, however he declined to state the source of the disruptions. Responding to an email query from Yle, Defence Force communications director Colonel Sami Nurmi also refused to comment on the matter, instead referring Yle to Ficora, the Finnish Communications Regulatory Authority. Last Friday, the online publication Barents Observer reported on GPS jamming affecting air traffic in northern Norway's Finnmark region. 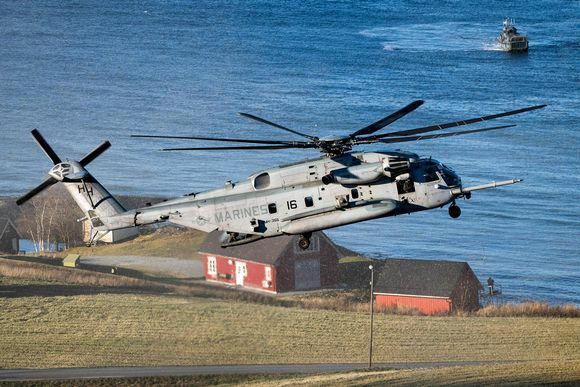 A warning about possible GPS blocking in the region had been issued at the end of October, when Nato kicked off major military exercises dubbed Trident Juncture in Norway. Finland also participated in the war games, which ended on Wednesday, 7 November. Meanwhile Norway's aviation warning is still in force and is expected to end on Friday afternoon. Finland's ANS has also published the Norwegian advisory in a bulletin. The Norwegian advisory covers the Kirkkoniemi airport area near the Finnish and Russian borders and Norwegian authorities have speculated that the disruptions could becoming from Russia. Additional signal jamming was detected at least one year ago, which Norwegian officials also believed came from Russia. Last autumn Norway's equivalent of Ficora, Nkom, speculated that the GPS disruptions were coming from Russia. At the time, the Finnish agency indicated that it had no knowledge of the matter. On Monday, Yle emailed Ficora to ask whether or not it knew about Norway's accounts of GPS jamming. On Tuesday the agency responded, saying that it had no information apart from what had been reported in the Barents Observer. However on Thursday, Ficora provided additional information upon hearing of the advisory issued by ANS Finland. Ficora director Jarmo Ilme emailed Yle to say that the agency had received information about the GPS blocking issue, but because no one had reported any problems as a result of unstable signals, it determined that there was no reason to take action. Officials in Finland and Norway have assured aviators that the GPS signal disruptions will not endanger air traffic, since aircraft have other navigational equipment in addition to the GPS. According to Isomaa no navigational problems have been reported and the warning has not affected the number of flights operating in Lapland.